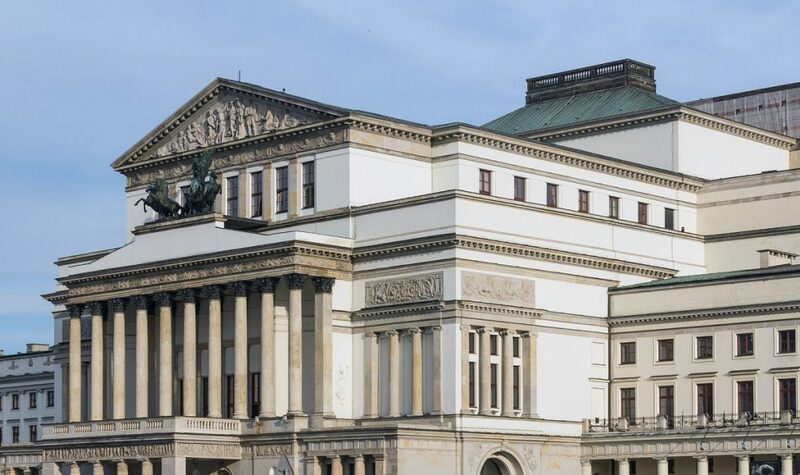 The national Theatre in Warsaw is one of the most important theatrical venues in Poland, dating back to the 18th century. So when the theatre decided to upgrade the old stage management system, Green-Go was the intercom system of choice chosen to create a party line network communication system. The new system needed to be able to provide wired and wireless connection, party line communication, stage audio monitoring management, foyer sound system management, automatic playback of audio announcements, video monitoring management, end of intermission bells and so much more. Konsbud Audio specified Green- Go as a system that could easily handle this complex system for stage management. The Green-Go system enables two channel communication between different groups of users. Integration with intercom system communication can be done using a transmitter/ receiver, wall mounted panels and intercom panels. As it is a network solution, any user may be assigned to the selected communication group using the dedicated software. “Unlike other systems we looked at, the big advantage of Green-Go is its ease of use and versatility. An important aspect for us was the use of IT infrastructure to create connections between devices and no unnecessary cables thanks to feeding through PoE ports,” continued Piotr.